Biorobotics is a laboratory that specialises in the development and study of biorobots that reproduce the mobility of different animals. The goal of their developments is to reproduce certain animal movements. All while gaining the capacities to learn from them and use that for our benefit and well-being. 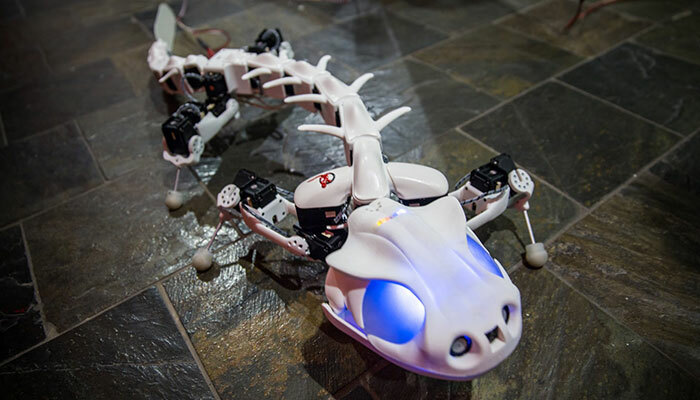 This laboratory belonging to the Federal Polytechnic School of Lausanne, Switzerland, already presented us a few months ago Pleurobot, a salamander robot capable of swimming thanks to its bones and joints printed in 3D. 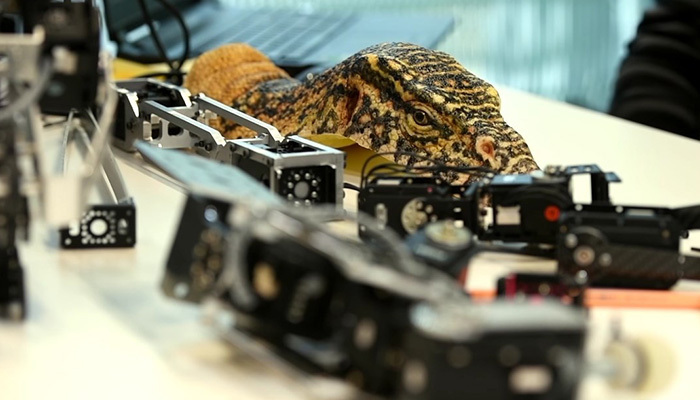 A few months ago they presented a robot in collaboration with the BBC for the recording of the documentary “Spy in the Wild”. 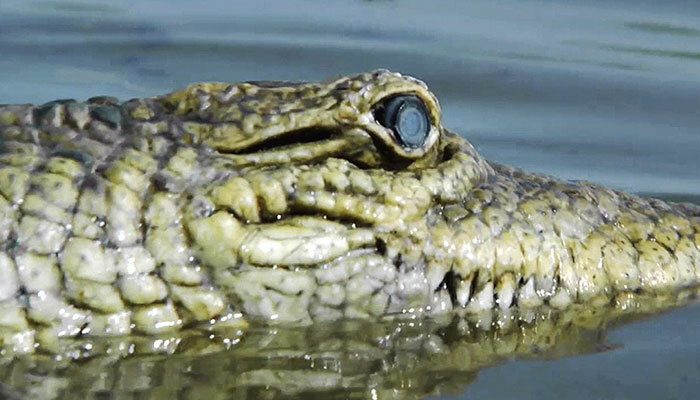 A huge crocodile robot that infiltrated nature to give researchers more information about the lives of these animals. This week we talked with Kamilo Melo, a Biorobotics Researcher. He told us, in detail, about the development processes of some of his most famous biorobots. 3DN: Can you present yourself and tell us how the idea of Biorobotics came up? 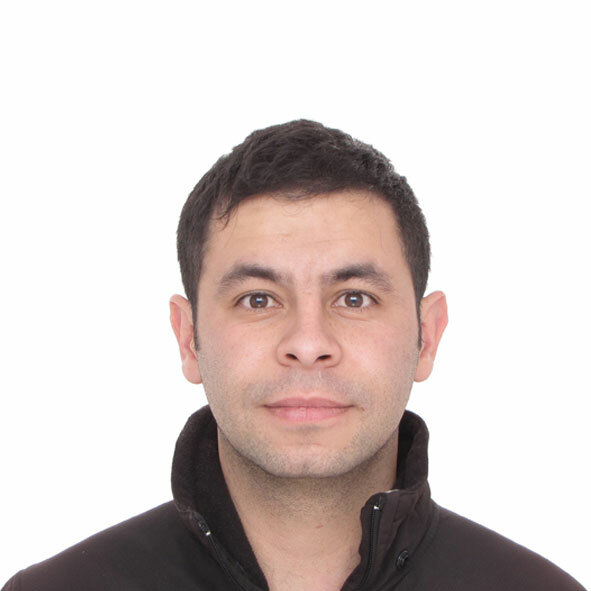 Hi, my name is Kamilo Melo, I’m a Postdoctoral Researcher of the Biorobotics Laboratory at EPFL in Lausanne, Switzerland. Biorobotics for me is a cycle. We use robots in order to understand better the biology and solve tricky questions about how animals move. But at the same time, it is extracting fundamental principles from nature, in order to create better engineered machines with impact back in science as well as in society. 3DN: What are the current projects of Biorobotics, and what uses do they have? We are particularly interested in deciphering many problems related to the locomotion in animals. For example, I work with lamprey robots, to understand better how this primitive animal developed and evolved swimming controllers that integrate not just neuronal circuits and neuro-muscular activity to generate swimming behaviours. But, also how it was/is capable to integrate sensory information of the environment (i.e. water flow and hydrodynamic pressure) into their controllers to increase the swimming robustness. I also work with the faithful replication of salamanders and other sprawling posture animals in robotic systems. We used real salamanders to study how their bones move (with X rays) in order to create a scaled robot to replicate and understand their motions. Likewise, we use such technology to create a replica of a fossilised animal, in order to try to understand how it used to move 350 million years ago (both bio-robots used 3D printing technology). 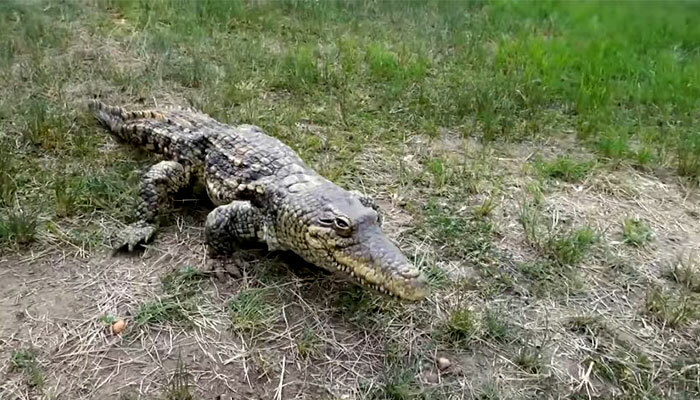 With all this expertise, we developed a crocodile robot that was used by the BBC in a wildlife documentary in Africa. The documentary is called Spy in the Wild. 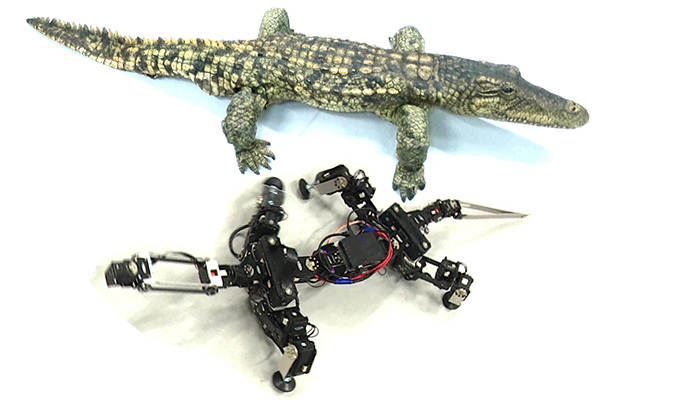 Our crocodile robot survived 2 weeks of constant operation under the most adverse scenarios. Water, mud, dust make the perfect demonstration for the robustness of this robot in the outdoors. All the lessons learned from this robot in the field, lead us to use this expertise for the design of sprawling posture robot for disaster responses. We are able to go through narrow passages, small openings and even swim in the rubble of a flooded disaster scenario. We hope that our technology can save lives some day. 3DN: In all your development, what’s the importance of 3D printing and what technologies you use? Rapidly prototype robot design concepts. Help us enormously in the creation of testing beds and parts for experiments and measurement of robot parts. Give the right look as we want to give to our robots. This even creates a brand for our laboratory that distinct us from other bio-robots. Quickly create temporal replacements of robot parts during long experimental campaigns. Create molds for soft material parts that make up part of our robots. The technology that we use is normal ABS and Polyadmide additive manufacturing and laser sintering. 3DN: What are the future projects of Biorobotics? The future of Biorobotics: as mention in Question 1, this is a cycle. We don’t want just to solve the most tricky questions about how animals move, but also to learn as much as we can from nature and bring these ideas in the design of new robots, new materials, new behaviours, to be able to close the loop and bring value to society. Common areas of particular interests for us are: muscle-like actuation. We would like to develop better and more powerful actuators that have energy efficiencies close to animal muscles, without expending too much energy. Likewise, we would like to improve the selection of materials and fabrication techniques , in order to produce lightweight and robust structures, similar to bones and other tissues found in animals (which include soft materials, stiffness gradient materials), that can be replicated in robots. We believe that 3D fabrication technologies will help us greatly on those aspects. 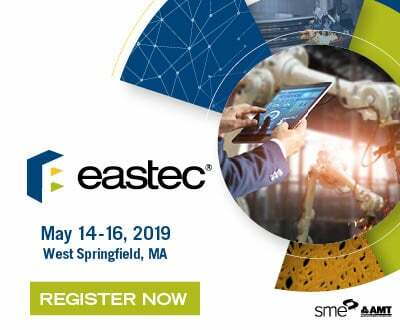 Finally is the improvement of controllers both extracted from nature, or by rigorous engineered processes that allow us to be faster in processing times and smoother in solving, in real time, the interactions of the physical robot with the environment. 3DN: Do you have any last words for out readers? Building robots is a fascinating world. We have too many techniques for the fabrication of robots and 3D printing is definitely one of the most powerful ones. I encourage the readers to delve on the creation of robots and the integration of nice materials, great fabrication techniques, actuation and control. More over, I will recommend the readers to not rely 100% in 3D printing. This can be an overkill for both the robot and the pocket. The look of the robot is nothing important compared to their functionality. Please pay attention to the functionality first and combine fabrication techniques where 3D printing will bring all its potential for specific parts, while simple and more conventional fabrication techniques like simply adding a metal or carbon fibre rod, can be a better solution. Both the combination of techniques will make your designs more robust, cheap and functional. The best integration of engineering. 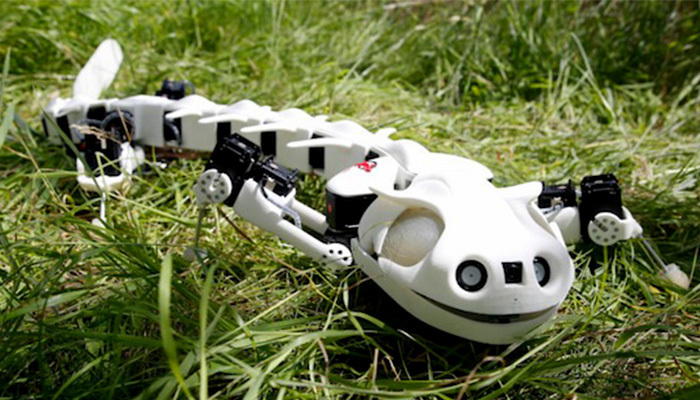 What do you think of the Biorobotics robots and their study of nature? Let us know what you think in a comment below or on our Facebook and Twitter pages! Don’t forget to sign up for our free weekly Newsletter, with all the latest news in 3D printing delivered straight to your inbox!